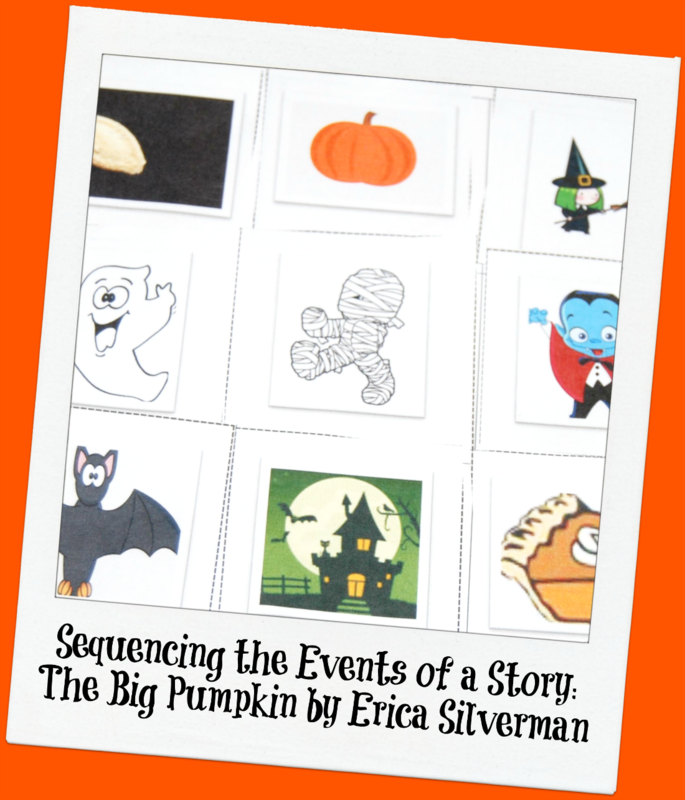 The Big Pumpkin by Erica Silverman: Sequencing in Preschool! The Big Pumpkin by Erica Silverman is one of our kids’ favorite fall books! The characters are funny and not-too-spooky for preschoolers to enjoy the antics of their attempts to take a pumpkin off a vine. Your own kids will delight in the theatrics of the characters as they pull, tug, and pull a little bit harder to make the pumpkin finally snap from the vine. Come read, sequence the events, and play along with our own kids this fall! Disclosures: This post and others within this blog may contain affiliate and/or distributor links. Please see the ABOUT page for full disclosures. 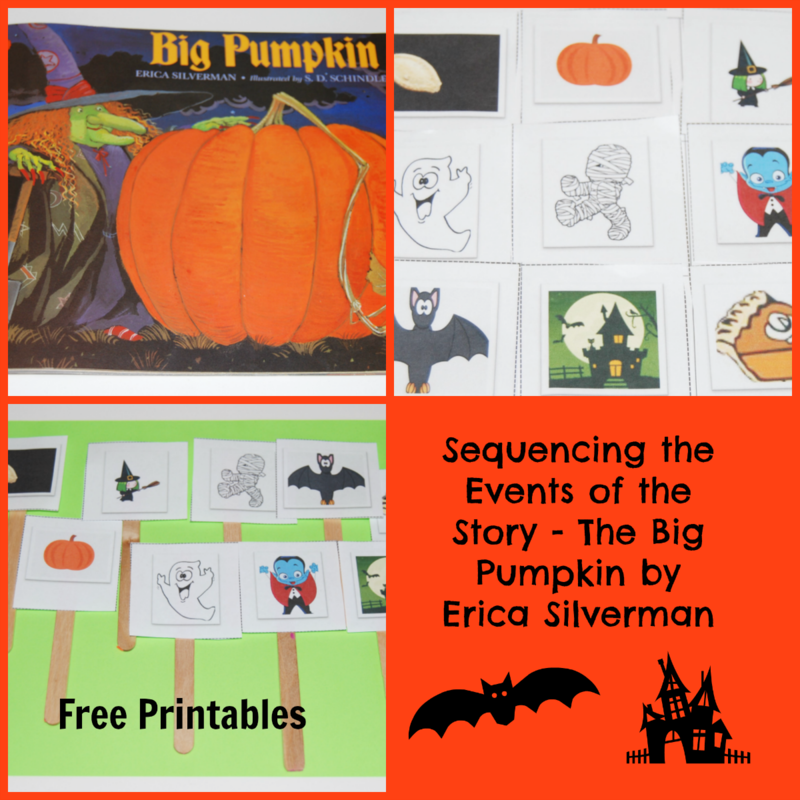 After reading the story of The Big Pumpkin by Erica Silverman, invite kids to re-tell and sequence the events in the story to enhance literacy. 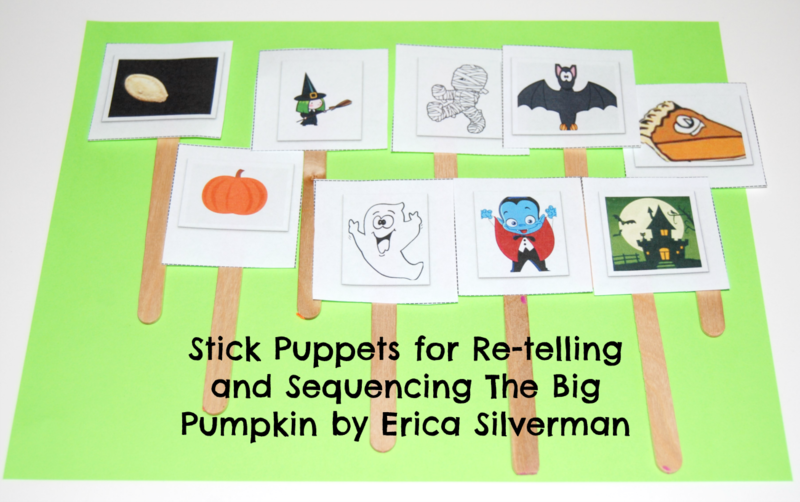 Print one set of the sequencing cards/puppet toppers (linked above) for each child/student. Laminate the cards or cover with clear contact paper for durability. Have the kids cut out each of the 9 cards on pages 1 and 2 (assist younger children). Kids can tear off pieces of poster putty or use tape to adhere the cards to 9 crafts sticks or seasonal straws. Re-read the book and invite the kids to hold up the items/characters as they appear in the story. Make a tray activity with the book and all of the puppets. As the kids look through the book, invite them to sequence the puppets in the order they appear in the story. Invite kids to put on a puppet show for their peers using the created stick puppets. Page 3 of the sequencing cards file (linked above) contains 9 squares. Invite the kids to use poster putty to place the character/item cards in the appropriate numbered boxes as you ask the following questions? 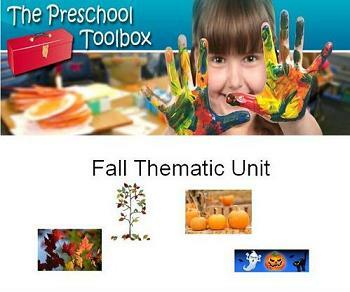 Please see the Fall Thematic Unit for more literacy, math, science, arts/crafts, dramatic, and gross motor play for an entire season of playful learning! « New UP! eBook: Taking Playful Learning to New Heights! Thanks. This is awesome. My Head Start children will love.